communities and to create employment opportunities for people from disadvantaged groups. approximately 425 community companies and co-operatives. geographical or social isolation or because of demand deficits. A core requirement of the Community Services Programme is that contract holders generate non-public revenue from their operations e.g. by charging fees for services delivered or fundraising. The grant is used for Salary Costs. Companies in contract with the programme must be not-for-profit, social enterprise or community business in nature. The Department of Social Protection is responsible for setting the overall policy environment with respect to the programme as well as procuring the required annual resources. The Department sets the application and eligibility criteria and acts on recommendations received from Pobal in respect of contract approvals, renewals and variations. Following recommendations from Pobal and the Department, decisions in respect of all contracts rest with the Minister. the neighbouring communities and cross border to join in this very enjoyable social event. We also provide a Rural Transport Service for people who are interested in coming to our Monday meal and social dance. Our freshly prepared meals are also available to take home at €5.00. 3. Home Visitation, Support and Referral Services - identified senior who are isolated, lonely, dependence: our ‘Community Support Trained Staff’ will undertake home visitation to those who are feeling lonely, isolated and/or experienced recent bereavement or sickness, support the senior in sign posting for other service needs e.g. home maintenance. in hearing more or availing of our services, please do not hesitate to contact a member of our staff on 047 87049 for further information. 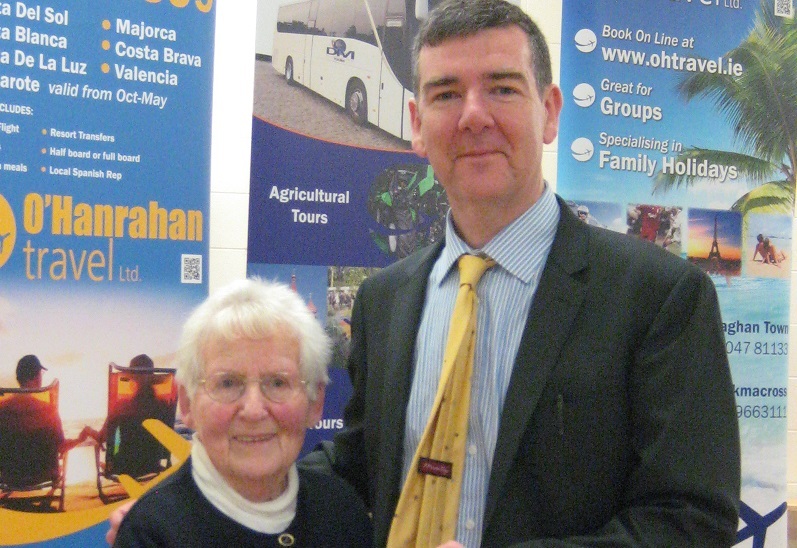 Mae McKenna being presented with her prize by Mark Clifford, O'Hanrahan's Travel, at the Senior Meal in March 2013. Recording weekly visitation and good morning calls in a professional, confidential and timely manner. Providing referral support on issues relating to clients to other agencies where appropriate. 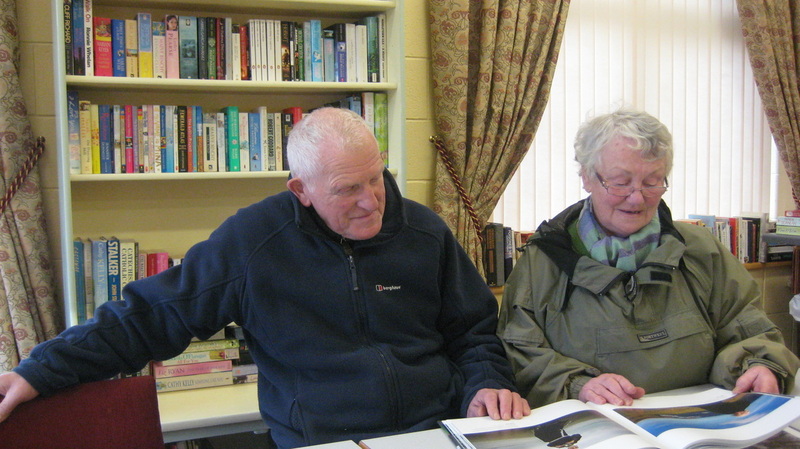 Providing Support and advocacy for elderly people in relation to issues affecting them. Promoting independent living of elderly people in the community. retirement programmes without compromising confidentiality. Working as part of a team in delivering the Monday meal service to the seniors. preparation of meals, setting up of main hall, general appearance of the building. Building effective relationships with key personnel and customers.